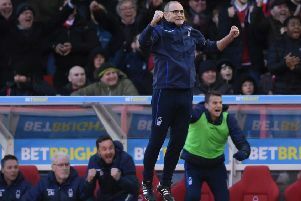 Nottingham Forest defender Yohan Benalouane says the side who displays the most character will make it into the top six come the end of the season. The Reds travel to Rotherham on Saturday looking to make it back-to-back wins and pile on the pressure on their promotion rivals. “We want to win, obviously,” Yohan said. “We are going there to get the result as we want to win every game. “The end of the season is close so we have to take as many points as we can to get in the play-offs. Benalouane also paid tribute to the Forest faithful and stressed the important part they have to play. “If I have a message for the supporters, it is to stay with us and to keep going. When we are at home or when we are away, it is the same because our part of the stadium is always full and we can see all of the red shirts.